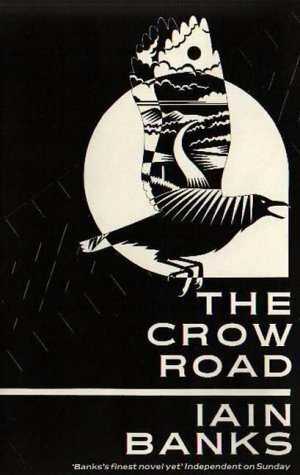 I did struggle with Crow Road. It's one of Iain Banks's earlier novels, and it shows. I did enjoy The Bridge, which came out before, but that was focussed on story - Crow Road is heavily character based, where the action is minimal, and the whodunnit doesn't really start until three-quarters of the way through, and then fizzles out as fast as it started. My problem with this novel is the over-writing - long rambling sections, which though well written, drag on and on. Likewise, the first-person point of view is littered with throw-away "aren't I clever" lines, which eventually become tedious. By the half-way point, I found myself skimming paragraphs, and eventually, I was flicking over pages.